The General Assembly is the highest body of APAARI that meets once every two years. Each APAARI member institution in regular and associate membership category is represented with one vote. The General Assembly determines the policy of the Association, approves its programme of work and budget that is formulated and put up by the Executive Committee, reviews progress, and exercises other powers conferred upon it under the Constitution. 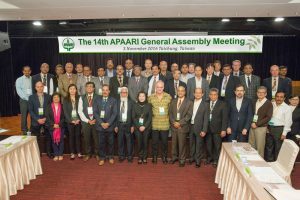 The Executive Committee meets at least twice a year and is convened by the Executive Secretary of APAARI. It manages the affairs of the Association in accordance with its Constitution and the policies and directives adopted by the General Assembly. The Executive Committee reports to the General Assembly on the implementation of approved programme of work and the progress made in fulfilling the objectives of the Association. 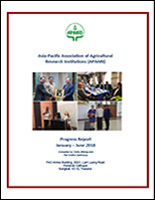 It is composed of 14 officers, namely, Chairman, Vice-Chairman, Executive Secretary of APAARI, and 11 other members representing different stakeholder constituencies.